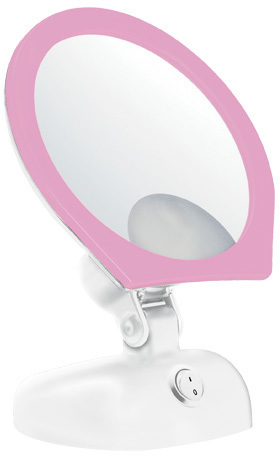 Conair True Glow 5x Magnification Mirror is a two-sided mirror with a brilliant chrome finish. It features incandescent, glare-free lighting for a soft halo effect and a removable head for flexibility. The mirror head can also be adjusted for height. Its compact size is ideal for travel and on-the-go use. I bought my Conair magnification mirror at the Shaver Shop. I love that it gives me 'close ups' on one side and as it smoothly flips over to the other side it gives me a normal view with no magnification. l like versatility in a product and it has that. I love that it has a switch for a LED light to make viewing of my 'close ups' even more visible. I find that the quality of the mirror itself to be excellent - there is no warping but a very clear reflection image. My mirror takes batteries which is good because I can move it around the room if I want to. It's totally portable. It's a bit big for travel though! I love the magnification side for doing my eyebrow makeup but also for checking to see if I need to tidy them up with the tweezers. I also find it's great to check for any dehydrated looking skin which isn't normally visible on the 'normal' side of the mirror. The magnified side is great for that plus it shows if any of my concealer has seeped into my lines before I leave the house and I can dab and blend it to make it unnoticeable. Something I couldn't do with a normal mirror side. I could do my whole make-up of my whole face with this because the normal sized reflection on one side allows me to do that.  Myer, David Jones, Priceline, Harvey Norman and Shavershop.